Marc Dall’Era, MD is an associate professor and vice-chair of the Department of Urology at the University of California, Davis, School of Medicine and a member of the UC Davis Cancer Center. Dr. Dall’Era attended the University of California, Davis, School of Medicine for medical school. He completed his surgery and urology training at the University of Washington, Seattle. Dr. Dall’Era then completed his fellowship training in urological oncology at the University of California, San Francisco. 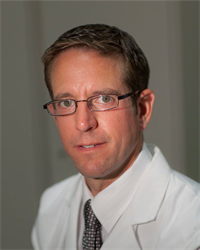 In 2008 Dr. Dall’Era joined as faculty in the Department Urology at UC Davis Medical Center. Dr. Dall’Era’s practice is dedicated to the management of patients with urologic malignancies of the urinary tract. The specialty care he offers includes: multi-disciplinary and comprehensive care of patients with genitourinary malignancies; active surveillance for low risk prostate cancer; multi-parametric MRI/US fusion targeted prostate biopsy; minimally invasive and robotic surgery of the kidney and prostate; Blue Light Fluorescent cystoscopy and advanced genomics testing of urologic cancers. Dr. Dall'Era's research interests include advanced treatment of localized prostate cancer including utilization of mp-MRI and biomarker discovery and validation for active surveilalnce and high risk prostate cancer. He is also involved in translational research for urothelial cancer diagnosis and management including advanced genomics analysis of bladder tumors and nanodiagnostics and therapeutics.